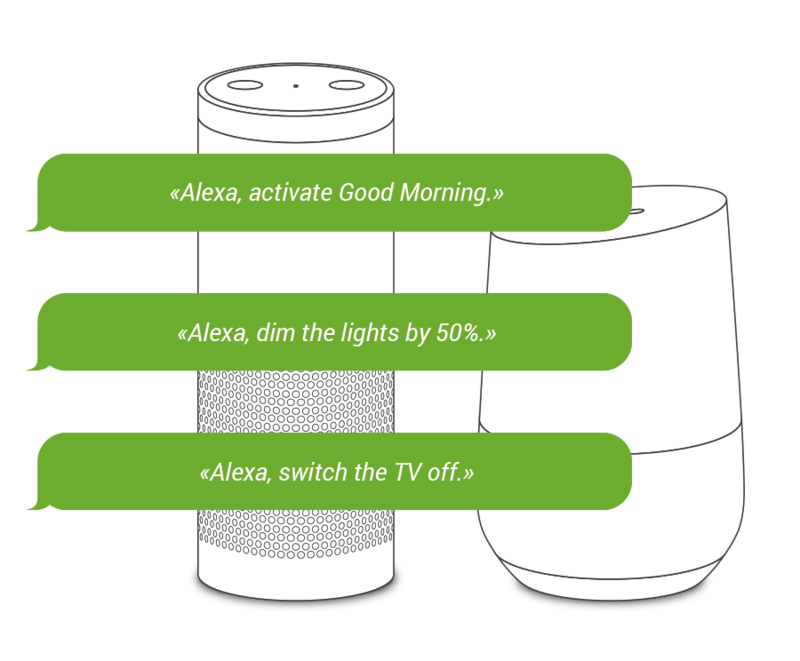 Use your smartphone to switch connected devices on and off. 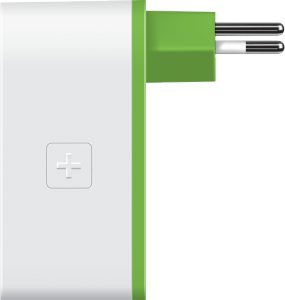 Smart functions that automatically help save electricity. 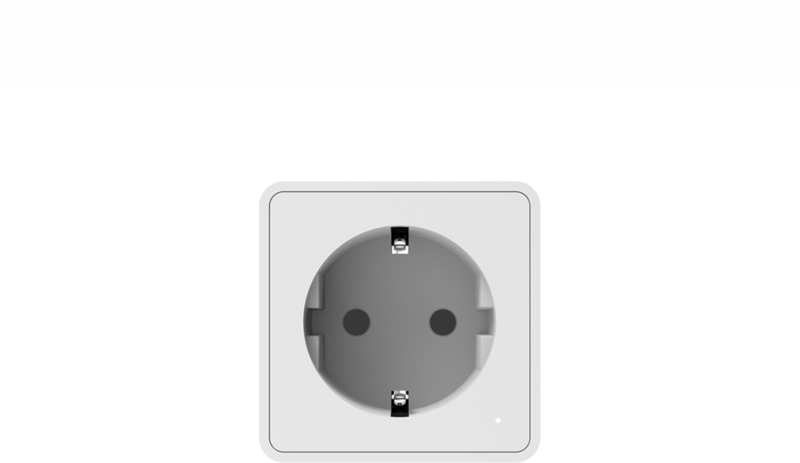 For EU plugs (Schuko). With a simple swipe, switch the devices connected to the myStrom Switch on and off – no matter where you are. Measure your energy consumption and costs and get your myStrom WiFi Switch to switch devices on and off automatically. The integrated thermal sensor makes your WiFi Switch even more useful. Thanks to this function, you can define the ideal temperature of your wine cellar and keep an eye on the heating of your second home. With a connected lamp, the myStrom Switch simulates presence in your home – the best way to prevent break-ins. 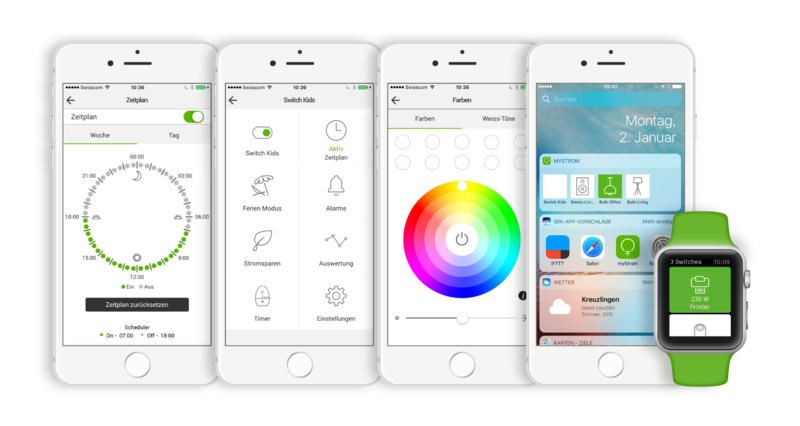 Turns control and automation into pleasure – on your Smartphone, Tablet or Apple Watch. 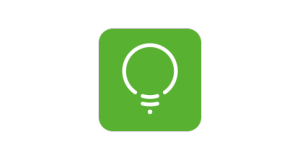 With the myStrom WiFi Button, control your myStrom Smart Home without using the App. Each Button supports various touch patterns and can control devices or device groups. Extend the possibilities of your myStrom Smart Home. The second home for your myStrom devices and their functions. Exclusively for Swisscom Internet-Box customers. 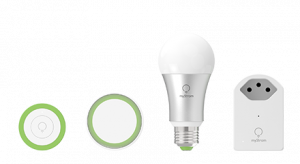 tiko customers monitor the energy consumption of myStrom Bulbs and Switches as well as their heating system’s. Substantially extends the possibilities of your myStrom system. Automatically switch the power in your home off just by leaving? No problem! Conrad Connect platform brings together what belongs together. 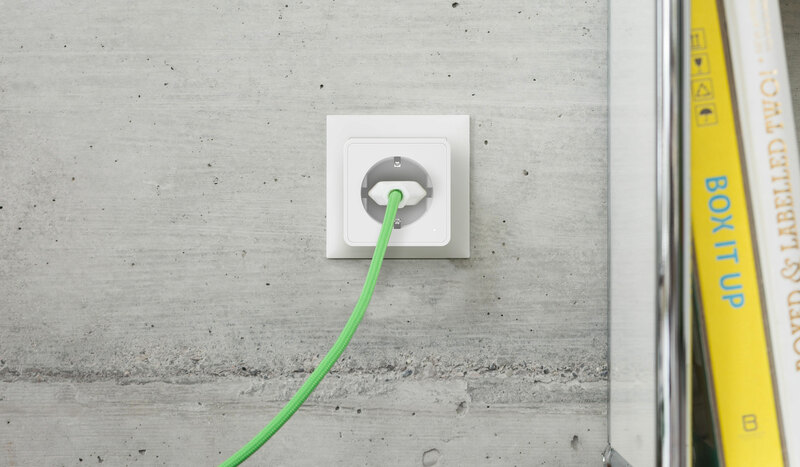 It connects smart devices from different brands just like that. Control4 premium automation solutions make you the true master of your home. 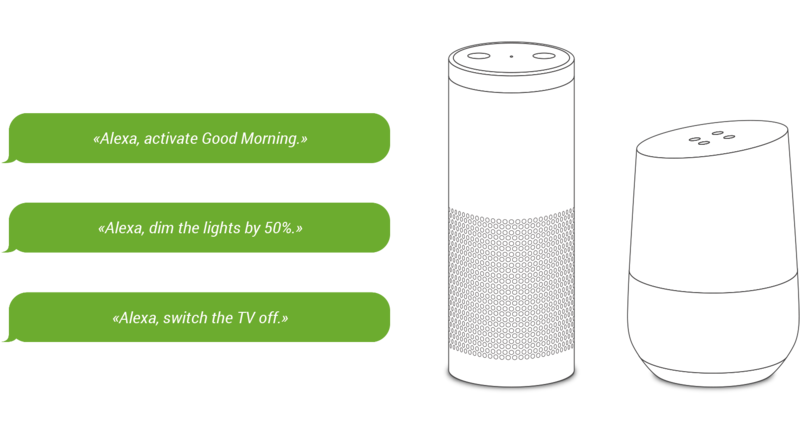 Easily and intelligently control every aspect or your home, from lights, security, climate control, home theater, music and more, even if you are miles away. 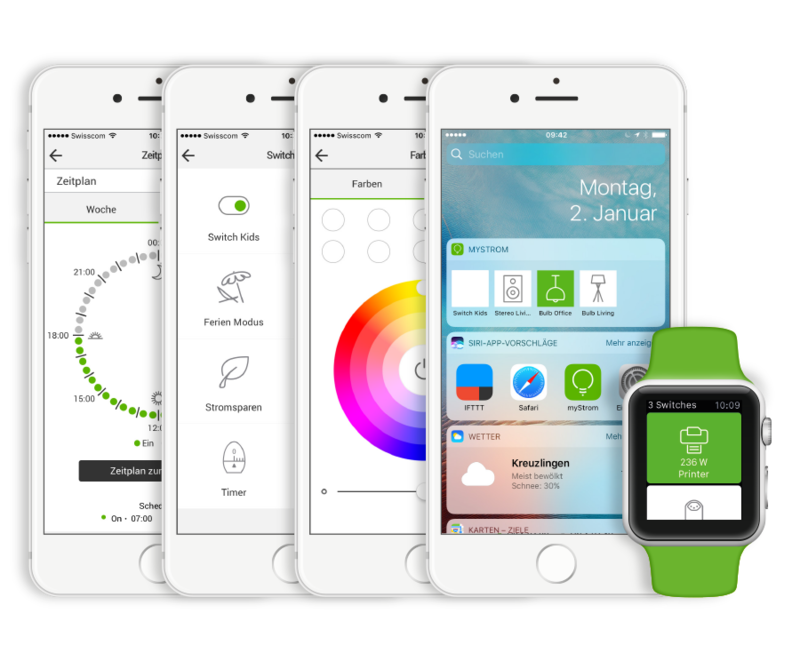 Integrate myStrom with your professional Loxone, HomeAssistant or Homematic Smart Home. (1) Data throughput and installation range can vary. Network conditions and climatic factors, incl. data volume/traffic, construction/structure as well as used materials can influence the data throughput as well as the installation range. (2) Only suitable for indoor use – keep devices away from humidity.